California would be the first state to require public universities to offer medication abortion under legislation approved in the state Senate Monday, a bill that if signed into law would mark a vast expansion of a service that's rare on college campuses. None of the 34 University of California or California State University campuses currently offer abortion services at their health centers, instead referring students to outside providers. A group of private donors, some of them anonymous, plan to pay for up to $20 million in startup costs, including ultrasound equipment and training for both medical and billing staff. The bill, SB320, still needs Assembly approval. It would require all university campuses to offer the service by 2022, assuming the donors come through with the money. Medication abortion can be administered up to 10 weeks into a pregnancy. "I firmly believe that all students should be able to decide what to do with their own bodies and when to factor a family into their life," said Sen. Connie Leyva, D-Chino, the bill's author. "After all, women do not lose the constitutional right to end a pregnancy simply because they are a college student." One medication is administered in the clinic and a patient is given a second drug to take later at home. The medications induce bleeding similar to a miscarriage, according to legislative records. The bill's supporters say time is of the essence for women seeking a medication abortion, which must occur within the first 10 weeks of pregnancy. Dispensing the medication on campus will ensure that women have access, even if they don't have a car or have trouble fitting an outside appointment into their school schedule, Leyva said. Outside providers also may not accept student health insurance plans. But CSU officials worry the mandate would impose severe costs for liability insurance, safety improvements, medical training and round-the-clock phone support for medical emergencies, said Toni Molle, a spokeswoman for the CSU chancellor's office. "Currently our CSU health centers offer basic health services, however, the administration of medications still requires a level of expertise that our health center staff may not have," Molle said. It's unclear how many colleges outside California offer access to medication abortion on campus. Marj Plumb, chief strategist for the Women's Foundation of California, said no other state requires campus health centers to offer medication abortion. A 2015 survey by the American College Health Association found that just one of the 139 schools that completed the survey offered medication abortion services on site, said Joanne Brown, chair of the organization's Sexual Health Education and Clinical Care Coalition. "We believe that if they just learned what was required and were trained that they would realize that it's very straightforward and a huge, huge value to their patients," said Dr. Ruth Shaber, an obstetrician/gynecologist who heads the Tara Foundation in San Francisco. 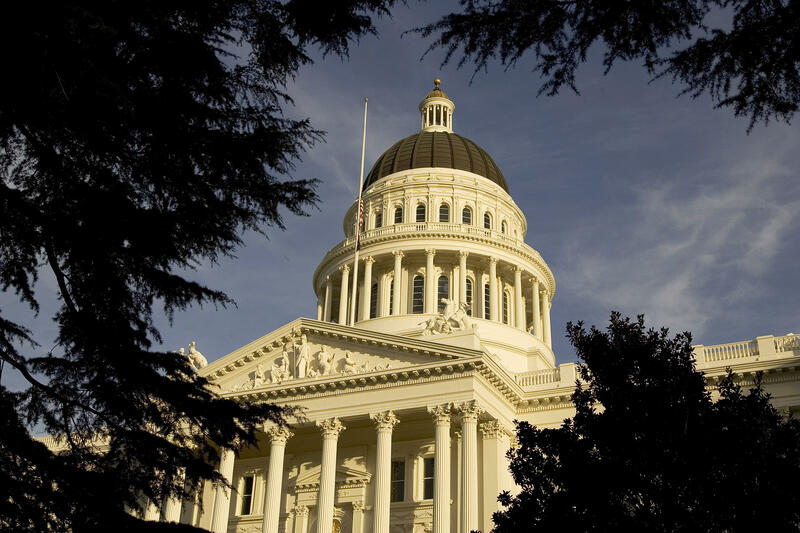 The foundation, which funds health and wellness programs for women, the Women's Foundation of California and another donor have agreed to cover implementation costs estimated between $14 million and $20 million, Shaber said. She and Leyva declined to identify the other donor, saying the organization wished to remain anonymous. The bill's sponsors estimate that 10 to 17 women would seek a medication abortion per month on each UC campus, and nine to 15 at each CSU school.